Do you make custom quilts? I don't sell quilt patterns at this time, but you can find my projects and others in the digital magazine I publish called Hand and Hand. You can find my knitting patterns on Ravelry under the name Handmedowns. I have taught several college level photography courses, and have been a guest lecturer for photographers about self promotion as part of my day job with 20x200. I also teach hand quilting, hand piecing, color theory, and quilting for beginners. You can learn about any upcoming classes on my blog. How do I wash or clean my quilt? First, it depends if the quilt contains wool or silk. For 100% cotton quilts, machine wash and dry normally. Keep in mind, however that frequent washing will age your quilt more quickly. Quilters for years have "aired" their quilts on a line to keep them fresh between washings. Give it a try, but for children's quilts I recommend washing a bit more frequently. Quilts that have wool batting or wool or silk patches can be machine washed with cold water and machine dried on a cool/warm setting BUT the wool and silk will change visibly over time. If you'd like to keep your quilt in better condition, and can line dry I'd recommend it. If you want your quilt to remain in pristine condition dry cleaning is best. I'll be honest, I machine wash and dry quilts with wool and silk often. Nothing really terrible happens, but I live dangerously. How should I store my quilts? Creases from folding a quilt for too long in the same way is VERY rough on the fibers and stitching. If you keep your quilt folded that's fine, just try to change the way you fold it often. Storing your quilt long term? Roll it! That means there will be no creases. The second dangerous thing for a quilt is bright sunlight. Fading will happen if you have your quilt in bright sun. Personally, I think quilts should be used and loved so I keep on daily spread out on my bed that gets a lot of sunlight. The trick is to rotate it often, so that at the very worst if it fades the fading is even. Be very careful of a quilt that's folded on a chair or something in direct sun. That's a disaster waiting to happen, and I'd avoid it if possible! 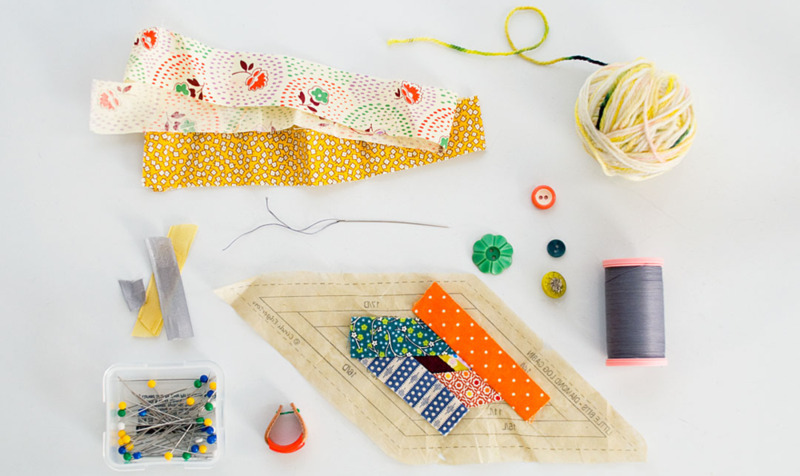 What's your favorite hand quilting thread? I love YLI's cotton hand quilting thread. It knots much less frequently than other brands, and it has really lovely stitch definition. The color selection is limited, but I still find a color that works 80% of the time. The wooden spools are an added bonus. I just love them, and hold onto the empty spools. What's your favorite hand piecing thread? Believe it or not Coats and Clark hand quilting thread is also really great. This is NOT the dual duty stuff. Seriously I only buy the kind that's really labeled just hand quilting. Like YLI it hardly gets knotty, and has excellent stitch definition with a nice cheap price tag. Their color selection is so limited though, that I mostly only use this thread for hand piecing. What kind of batting do you like to use? I use either natural cotton or 100% wool batting for all of my quilts, and you can hand or machine quilt with either. My preferred cotton batting is the mid-loft Quilters Dream 100% Cotton Batting. I also really love their wool batting, Quilters Dream 100% Wool batting.